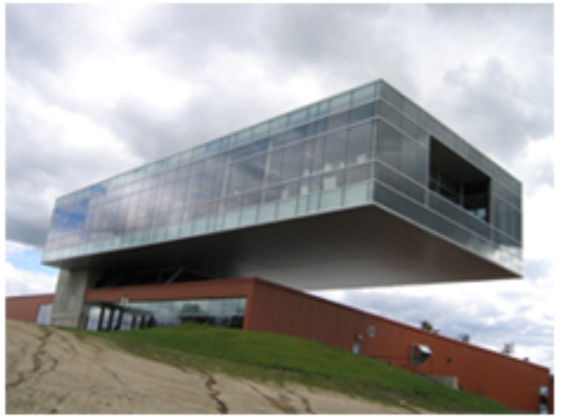 The structure is an office building for the headquarters of the Lamar Construction Corporation located in Hudsonville, Michigan. The design architect was Integrated Architecture, LLC, and the engineer was Structural Design, Inc. The building has glass curtain walls with exposed steel and overhangs a garage and warehouse facility. The initial static design of the structure was found to be susceptible to vibrations due to everyday occupants' movements. The VTL researchers conducted computer modeling of the structure and modified the design to prevent excessive vibrations. In its final design, the building consists of two 112 ft-6 in. long steel trusses cantilevered from a 2 ft thick concrete core, used for the main circulation area and structural support system. 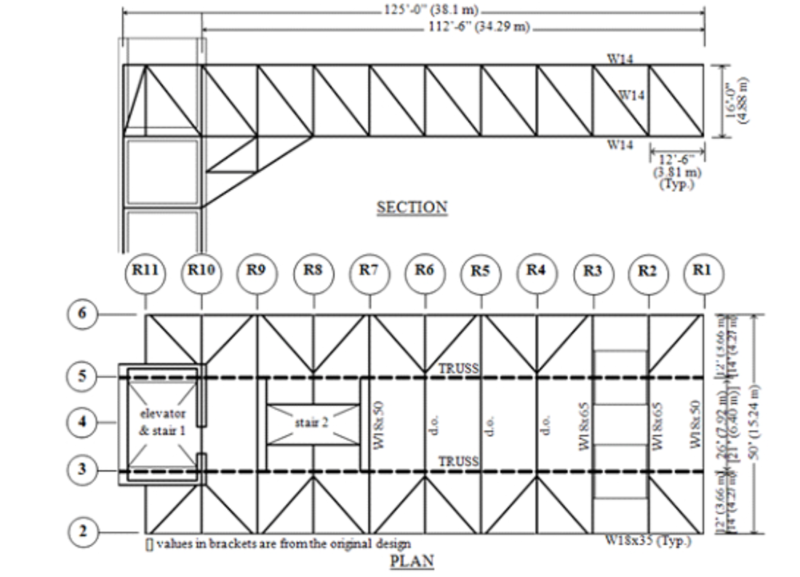 The total truss depth is 16 ft and the floor beams are connected to the bottom flange of the truss lower chord as continuous members. The floor is made of 3 in., 20-gauge composite metal deck with 2.5 in. lightweight concrete. Two sets of dynamic tests were conducted on the structure by the VTL personnel. Limited modal testing was conducted when the building was still under construction. At this point in construction, the main supporting structure was completed and the floor concrete slab had been cured for almost a month. The second round of field tests was conducted after construction was completed and the building was already occupied for over two months. In addition to the modal tests, various walk tests were conducted on the completed structure. 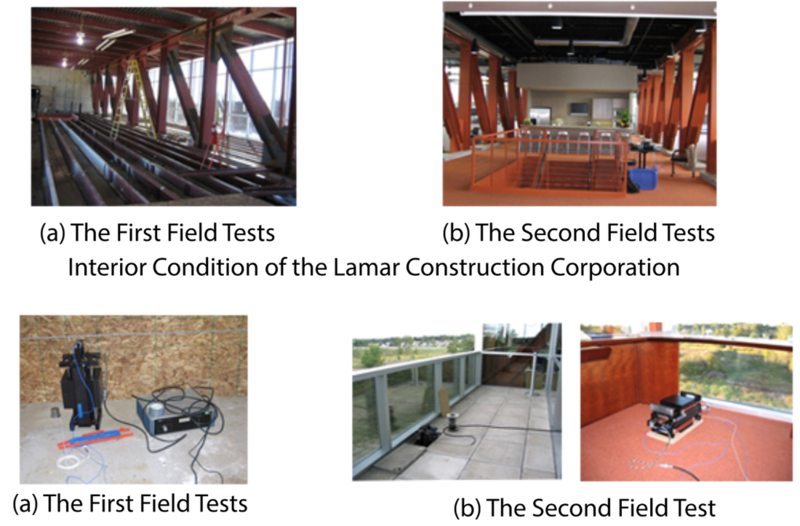 The results of these tests and the analysis of the collected data indicated that the modification made to the original design of the structure were justified. The structure is not susceptible to excessive vibration due to the occupant movements.